Best new brewery in Norway 2012! RateBeer has named us Best New Brewer in Norway 2012. 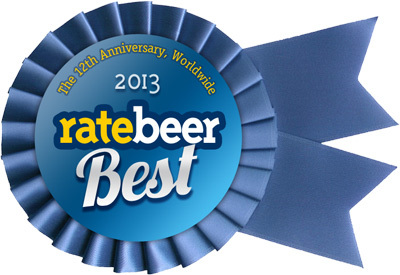 We appreciate the recognition, and promise to brew some tasty stuff in 2013 as well! We really don’t know how stiff the cometition actually was, but that doesn’t matter. Winning always rocks! This entry was posted in Uncategorized by smithgahrsen. Bookmark the permalink.